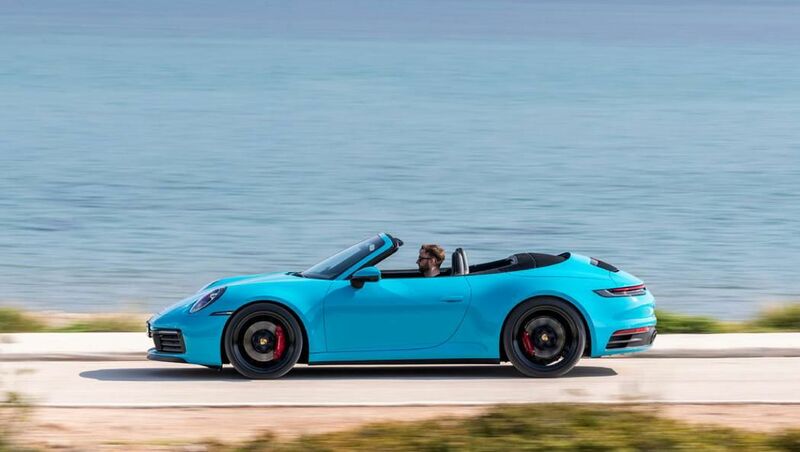 This Porsche 911 seems very optimistic -- this is a blue I could do. Photo/Porsche. The red Ferrari is most definitely fun and impulsive. Photo/Ferrari. The limitless color choices of the SUV. Photo/Dreamstime. From left to right: Optimistic, joyful, fun and peace-loving compact cars. Photo/Dreamstime. Yellow, blue, red, orange, silver and black autos -- which one would you pick? Photo/Dreamstime. Let me preface this article by stating I don’t know how long color psychology has been studied and I don’t claim to be an expert on the subject. If you’d like to go down the rabbit hole of exploring how color affects mood and other interesting tidbits, Google “color psychology,” there’s a ton of information about it. When I worked in the corporate marketing world, I worked with clients whose advertisements were geared toward a particular group or demographic. Choosing a color to convey the “right” message or to represent their brand was crucial. The study of how colors affect our moods may not be an actual science, but advertisers believe it carries weight when trying to sell you something. I believe colors do affect mood; therefore, it stands to reason the color we gravitate toward most likely says something about us. According to Carmax.com, the top selling car colors in the nation are black (22.25 percent); white (19.34 percent); gray (17.63 percent); and silver (14.64 percent). Check out my “wheel” of colors below and what they say about you. Black: Powerful and luxurious. Sophisticated and timeless. Black is most definitely a power color, even mysterious. In Feng shul, black is associated with the water element and it evokes calm. It’s also ranked number one when it comes to clothing color, for both men and women. Though, if you drive your black auto on dirty roads – it’s a real dirt-shower. White: Modern and clean. Fresh and elegant. Apple loves white – it hooks us into thinking we have the best and most up-to-date until you see the spinning rainbow wheel and color really doesn’t matter. For cars, white is one of my favorites. See the dirt comment above—white doesn’t show it nearly as much. Silver: Hi-Tech and sleek. Innovative and upscale. Apple chooses this color for the same reason; it “feels” hi-tech. Silver is associated with prestige and wealth. Silver vehicles are snazzier than gray ones and you don’t have to wash them as often as black cars. Blue: Optimistic and honest. Introspective and sensitive. Blue is my favorite color. Research has shown blue is used in offices because it makes people more productive. It’s been shown to be men’s favorite color, but the least appetizing. Some studies show eating off a blue plate can help you eat less. I’ve never owned a blue car, though the powder blue color on the VW Beetle and the Mini Cooer is pretty sweet. Red: Outgoing and fun. Impulsive and ambitious. Red stands out – it’s used in advertising for that very reason. According to cnet.com/roadshow, “a compilation of stats from various law enforcement bureaus” showed that red cars get more tickets than any others. My sister once owned a Mazda RX7 red car and she got a lot of them, but the speed in which she drove the car had much to do with it. Beige, Tan or Champagne: Practical and thrifty. Unassuming and conventional. The color itself leans toward natural, organic and says, “simplicity.” Even though the word, “champagne” brings to mind fun and bubbly – not so much with a vehicle. Brown: Dependable and resilient. Secure and safe. Much like the beiges spectrum, brown is a “salt of the earth” kind of color and in marketing, it’s used to promote a– “you can depend on me” kind of feeling. Think UPS, “the feeling of cotton” logo, AW Root beer and M&Ms. If you’re driving a big brown SUV, it could be the reason so many people depend on you for car-pooling, arranging community activities or picking up last-minute items for someone else’s dinner party. Green: Patient and peace-loving. Nature-loving and nurturing. There is much green talk these days, but green is a color that symbolizes nature and represents good luck. I prefer a deeper green in vehicles, but it ranked low on the list of favorite car colors, nationwide – coming in at nine, just above tan and orange. Yellow: Joyful imaginative. Bold and young at heart. There’s a reason so many traffic signs are bright yellow – they catch your attention and so do yellow cars. Yellow can be difficult to read and cause eyestrain, so if your screen saver is of a big yellow sun, you may want to change it. Some studies show that yellow can cause feelings of aggression or anxiety. I felt anxious while driving in Massachusetts once when I saw a yellow traffic sign instructing me to “squeeze left.” Or, it could have been the ice on the roads, the traffic and not understanding what “squeeze left” meant. Used plenty in advertising as orange is thought to evoke feelings of excitement, enthusiasm and happiness. It’s also thought to stimulate appetite – Dunkin’ Doughnut uses it and Amazon’s smile is orange. Now you know why you asked Alexa, “Alexa buy the bulk sample assortment of cookies, chips and snacks.” Orange was ranked as one of the most popular car colors in Nebraska. Why Nebraska? Maybe the color we choose for one of the places we spend a great deal of time in says something about us. Or, maybe I just like a white car; which reminds me, I need to wash and wax it.